We were delighted in February to welcome no fewer than seventeen of our Italian wine producers to our Italian Tasting at Getty Images Gallery. It was here that we introduced Victoria Moore to Piero Lanza of Poggerino. Lanza is one of Chianti’s greatest young ambassadors. A qualified oenologist, a very competent agronomist and a brilliant winemaker, his wines have improved immeasurably over the past few vintages. Victoria and Piero spoke about the history of Poggerino, and how the estate is at the forefront of the trend for ‘new-old technique(s)’, like the concrete egg used in the aging of N(Uovo). 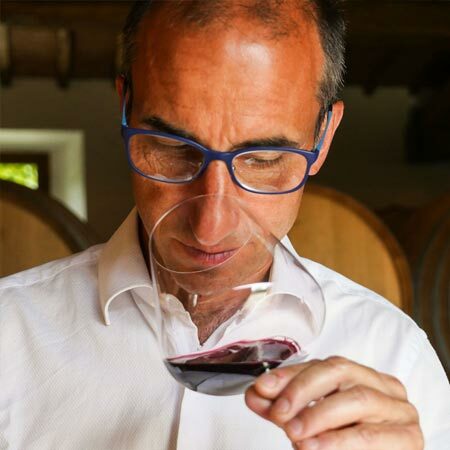 It is clear though that regardless of what happens in the winery, the age old relationship of man and the land that he works is at the very core of the wines Piero makes. These are wines that we really like drinking and are ones that, pretty much unanimously, we take home to enjoy properly. If you attended our tasting in February then you would have had the opportunity to taste through the Poggerino range too, including the latest releases. However if you didn’t, then you can always find them available to purchase on our website and of course in our shops. If you didn’t catch the article at the weekend and wanted to read it in full, for subscribers to The Telegraph online it is available to read here. If you’re not, then you’ll have to take our word for it that these are wonderful wines, carefully made by a standout Chianti producer.